Kapolei was named after the volcano Pu’u O Kapolei, and is one of the fastest growing areas in Hawaii. Technically not a city itself, Kapolei is on the western coast of the island of Oahu, and includes the communities of Makakilo, Barber’s Point, Campell Industrial Park and Ko Olina. The region offers endless natural beauty and attractions, so there is always something exciting and unique to do, whether it is kicking back and relaxing on the beach, or attending an upbeat luau. 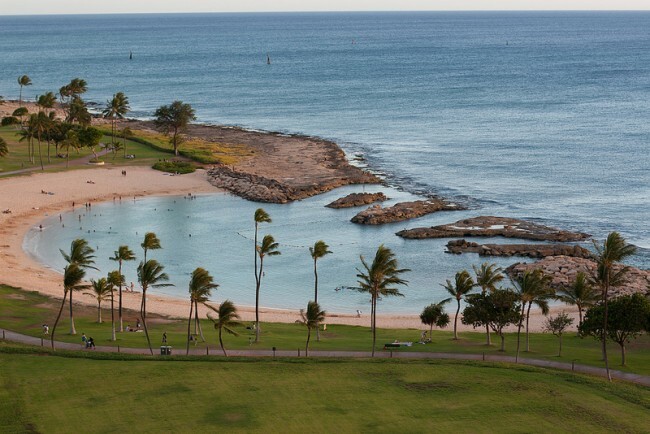 Ko Olina Lagoons are located just to the west of the city of Kapolei, and are comprised of a series of sandy beaches and four semicircular, man-made lagoons: Hanu, Naia, Kolola, and Ulu. These lagoons are perfect swimming holes for children and for snorkeling, and are staffed by lifeguards during the daytime. The fine sand was imported from Oahu’s neighboring island, Lanai, and a rock wall was built to provide a sheltered area away from the open ocean. Apart from several ocean-side resorts, the Ko Olina Lagoons are relatively remote, which helps to maintain their reputation as one of the top, relaxing beach escapes in Oahu. 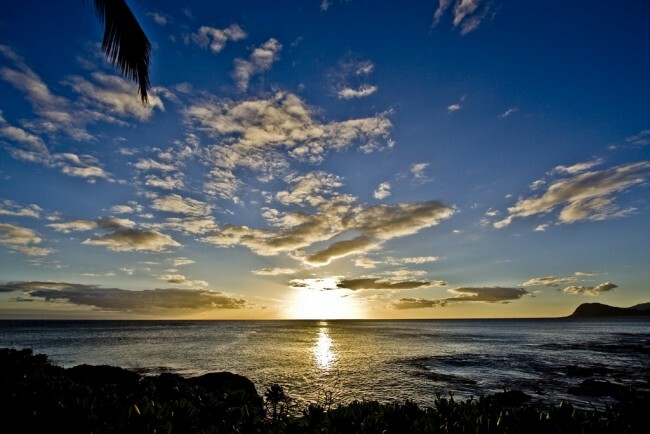 Paradise Cove Beach is another of Oahu’s gorgeous, sandy retreats, and it is open to the public. Known for its calm, shallow waters that are well sheltered from the rough, ocean waves, Paradise Cove is a quiet beach that is small and hidden, and therefore often overlooked. It is the perfect place for nature and wildlife lovers, as the tiny cove is usually populated with colorful fish and sea turtles. Paradise Cove is another snorkeling destination, and, often, swimmers can swim alongside these bold sea turtles in the outcropping-protected lagoon. Staying to watch the sunset from this natural oasis is a particularly mesmerizing experience. The FIA FIA Polynesian Dinner Show occurs just once a week on Tuesday evenings at the Marriott’s Ko Olina Beach Club. 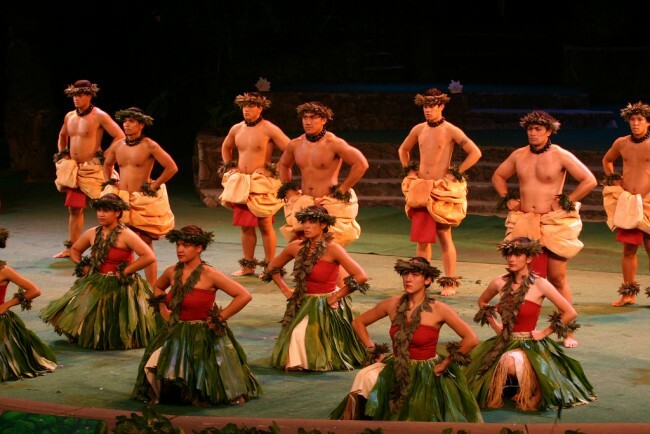 The show demonstrates many different aspects of Polynesian culture, dance and music through hula dancing, comedy and the narration provided by the Chief, who is the master of ceremonies. The FIA FIA luau is less known than many other popular luau options on Oahu and throughout all of Hawaii, so it is a smaller venue that provides more intimacy, guest interaction and easy access to the satisfying dinner buffet. The show concludes with a breathtaking fire dancing performance that is guaranteed to impress. Kahe Point Beach Park is also known as Electric Beach due to the power plant located across the street. It is popular for its cleanliness, and the excellent conditions for snorkeling, scuba diving and surfing. Beyond the beach are well-traveled trails that lead to fishing spots often used for free-diving spear fishing. With crystal-clear water and coral that extends out into the open ocean, snorkelers have been known to see pods of dolphins, monk seals and sea turtles here. While beginner snorkelers can take advantage of this amazing spot, rough water conditions often demand a higher level of experience. Located less than five miles outside of the city of Kapolei, the Ko Olina Golf Club is a championship golf course that has been named among the ‘Top 75 Resort Courses in the U.S.’ by Golf Digest. Ko Olina was designed in 1990 by Ted Robinson, the famous golf course architect, making it a must-see for any golf enthusiast. It was also named ‘Hawaii’s Best Golf Course’ by Star Advertiser, and is picturesquely situated on the west coast of Oahu. The course is well known for its ability to accommodate both a beginner and professional crowd with its moderate length, and its fairways, greens, and bunkers are always meticulously maintained. 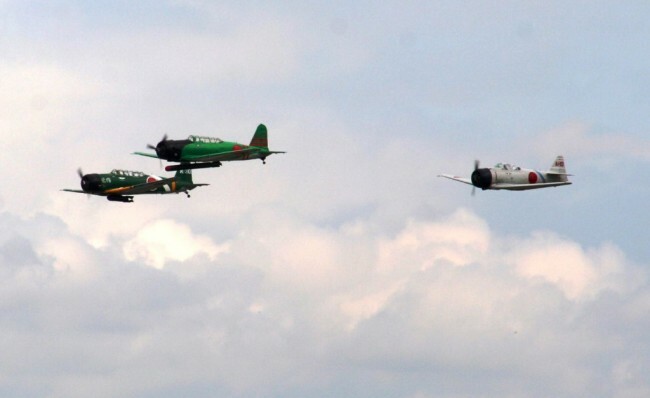 History buffs will jump at the chance to fly in the U.S. Navy SNJ (AT-6), which is an authentic plane that was flown in the Second World War. An experienced pilot leads tours of Pearl Harbor, providing historic details of the infamous attack, as well as flying the same routes that the Japanese pilots used back in December of 1941. Pacific Warbirds offers this unique opportunity as a means of providing the public with knowledge of the still visible battlegrounds, such as the USS Arizona, in an attempt to honor this important moment in history, as well as to preserve the art of vintage aircrafts. Also located at the Kalaeloa Airport is the Naval Air Station Barbers Point Museum. 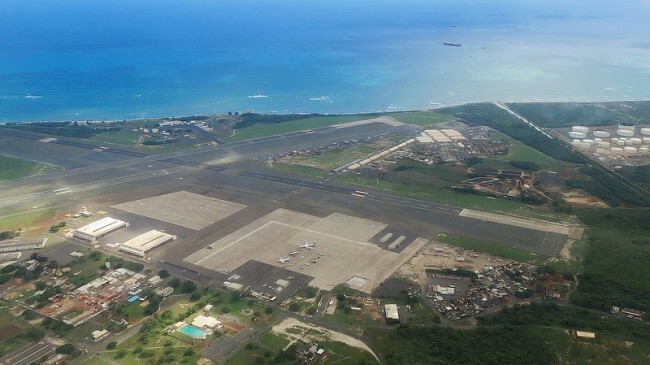 After the attack on Pearl Harbor on December 7th, 1941, the Kalaeloa Airport at Barbers Point became the hub for Navy aviation and training, and remained so until it was handed over to the state of Hawaii in 1999. That same year, NAS Barbers Point was converted into a museum that is dedicated to the preservation and restoration of any aircraft historical to the location, or to Hawaiian Naval Aviation in general. Once known as the largest naval air station in the Pacific Theater, with over 3,800 acres and thousands of military personnel, Barbers Point Museum is now home to several Navy fighter and attack jets, along with four buildings that are eligible to be on the National Register of Historic Places. Although it may seem almost sacrilegious to visit a waterpark while vacationing on the Hawaiian islands, Wet ‘n’ Wild is a popular tourist attraction, drawing in visitors by the thousands each year. Voted as one of Oahu’s top 10 most visited family attractions, children of all ages will easily get caught up in all that the Wet ‘n’ Wild waterpark has to offer. With more than 25 park attractions, ranging from the peaceful Lazy River to more extreme water slides like the Tornado and Shaka, Wet ‘n’ Wild has something for everyone, making it an ideal family destination. After long days spent at the beach, a little retail therapy might be just the cure for that Hawaiian sunburn. With more than 30 local and national brands and businesses, the shopping center was the first retail destination to open in Kapolei in 1992, offering everything from clothing stores and souvenir shops to supermarkets. The Kapolei Shopping Center provides locals and tourists with everything in one place. And, after window shopping and strolling through the plaza, shoppers can enjoy one of the many dining options also encompassed within the center. 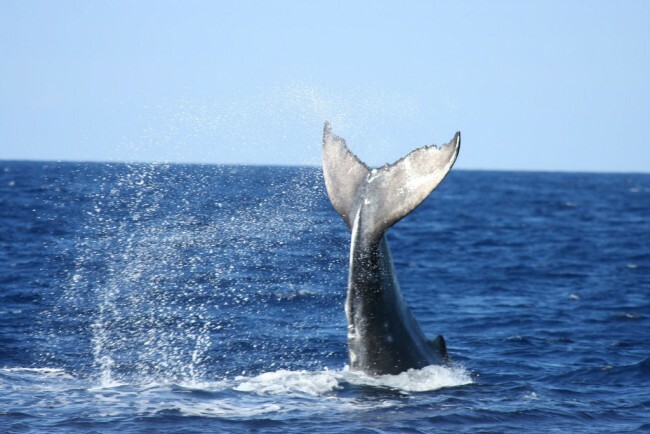 Hawaii Nautical offers a variety of cruises including whale, dolphin and turtle watches. 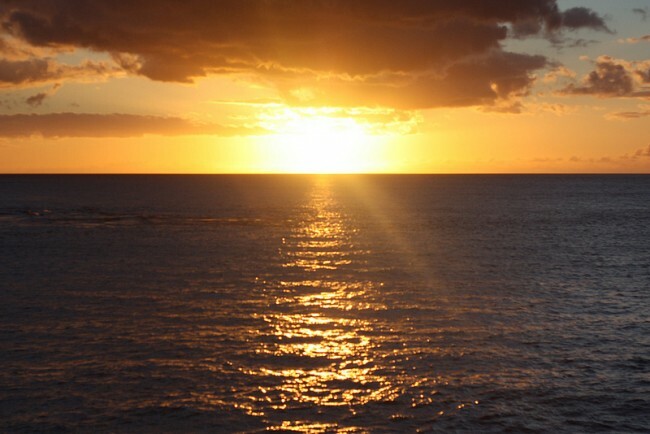 Awarded a TripAdvisor Certificate of Excellence for three consecutive years, Hawaii Nautical is popular for its professional and inviting staff, and its policy of ‘See dolphins – or whales, or turtles – or sail again free.’ Hawaii Nautical is one of the state’s largest ocean attractions, and follows strict protocol guidelines to ensure all marine wildlife remains safe and protected. An impressive and friendly crew that treats its customers like family, coupled with the beauty of the open ocean and marine wildlife, make Hawaii Nautical Cruises one of the most popular and worthwhile experiences on the island of Oahu.